February 28, 2013  The Senate held its first hearing on an assault weapons ban Wednesday, with activists pushing for tighter gun regulations sharing a table with gun-rights activists. They are seizing on public outrage over the December gun massacre at a school in Connecticut. 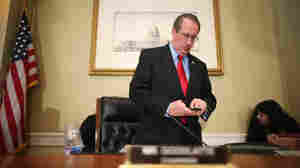 February 21, 2013  Republican Rep. Bob Goodlatte is charged with drafting the House immigration bill. He is against a path to citizenship for unauthorized immigrants but says the "broken" system needs work. And he says President Obama "should calm down, back off and let the Congress do its work." February 15, 2013  Chuck Hagel will have to wait at least another 10 days to find out if the Senate will confirm him as the next secretary of defense. That's because Senate Democrats failed to muster the 60 vote supermajority needed to break a GOP filibuster of the former Nebraska Republican senator's nomination. February 14, 2013  Senate Republicans embarked on an unprecedented filibuster of President Obama's choice for Secretary of Defense, Chuck Hagel, on Thursday. February 13, 2013  The Senate formally took up the question of immigration on Wednesday, with an at-times testy hearing about how to deal with the 11 million undocumented immigrants in the country. Republicans on the Senate Judiciary Committee insisted nothing should be done until border security is increased even further. February 12, 2013  The 41-year-old Florida senator will deliver the official Republican response to President Obama's State of the Union address Tuesday night. It's a chance for a party that has fared badly with both young and Hispanic voters to showcase a new stance on immigration. February 9, 2013  Earlier this week, President Obama was in Minneapolis advocating new limits on guns; no law or set of laws, he said, can keep children completely safe. NPR's David Welna sent this reporter's notebook about what he heard from some of those engaged in the gun debate in his home state. February 6, 2013  Minnesota has a Democratic governor, two Democratic senators, and Democrats control both houses of its Legislature. President Obama went there to rally support for his proposals to reduce gun violence. 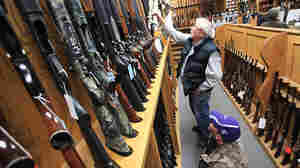 But even in Minnesota, there's considerable resistance to placing further restrictions on guns. February 5, 2013  On Monday, President Obama was in Minnesota. It's a democratic state he won easily in November, yet it's a state with strong hunting tradition. 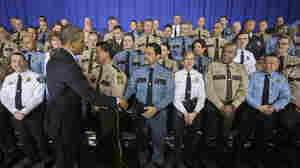 The president was in Minneapolis to push his proposals to reduce gun violence. February 4, 2013  President Obama traveled to Minneapolis to push his proposal to reduce gun violence on Monday. February 1, 2013  It was just days ago that Massachusetts Democratic Senator John Kerry sailed through Senate confirmation to his new job as secretary of state. When Nebraska Republican Chuck Hagel came before his former colleagues Thursday, he got a decidedly less friendly reception on his path to secretary of defense. 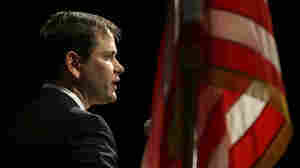 January 28, 2013  A bipartisan group of eight senators unveiled a plan to overhaul the nation's immigration laws on Monday. 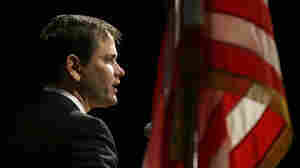 January 25, 2013  The new rules would make it easier to bring bills and nominations to the floor for debate. There was a time when a senator would have to sustain a filibuster by holding the floor and talking non-stop for hours on end, just as Jimmy Stewart did in the movie Mr. Smith Goes to Washington.